Four years on from the creation of the CMA, we face opportunities and challenges that would have been hard to predict back in 2014. High among these is the UK’s exit from the EU (Exit). It presents clear opportunities as we expect to take on a bigger role on the world stage post-Exit, including a significantly increased merger and antitrust review portfolio. Planning for the new arrangements will continue to be an important priority for us. Ensuring operational readiness for our post-Exit role is a challenging task, made easier by recently-announced clarity over funding. In his Spring Statement, the Chancellor confirmed an increase to our annual budget of up to £23.6 million from April 2018 to allow us to prepare for Exit. We are determined to put this significant budget increase to good use in preparing for Exit. Alongside the extra £2.8 million announced in the Autumn Statement for us to carry out 'more cases against companies that are acting unfairly', it is a further demonstration of the government's confidence in our work and the difference it makes for households and businesses across the UK, as well as to the wider economy. We’ve now published our Annual Plan for 2018/19. Alongside preparing for Exit, our main priorities are to protect vulnerable consumers and ensure markets can be trusted, support economic growth and productivity, and better connect the CMA and the importance of competitive markets with wider society. We look forward to working with our partners on our ambitious work programme for the coming year. We are making progress with our investigations into potentially anti-competitive pricing practices in pharmaceutical supplies to the NHS. Approximately half of our ongoing investigations into possible breaches of the Competition Act are in the pharmaceutical sector. 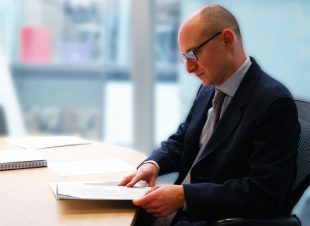 In relation to our recent decisions in this sector, the Competition Appeal Tribunal (CAT) published a judgment in March in the appeals by three pharmaceutical companies, including GlaxoSmithKline, against our decision to impose fines of £45 million on them for breaking competition law through a 'pay for delay' arrangement relating to the anti-depressant medicine paroxetine. The CAT supported many of our findings, dismissed some of the grounds of appeal, and referred the rest to the EU Court of Justice. We are committed to tackling cartels wherever we find them. In March, two of the biggest suppliers of coal and charcoal for households in the UK agreed to pay a £3.4 million fine for taking part in a market sharing cartel. They admitted rigging competitive tenders to supply Tesco and Sainsbury’s and sharing confidential pricing information. Millions of people buy these products to help keep their homes warm in winter and fire up their barbecues in summer. It is important that shoppers are offered the best price and only happens when companies compete fairly. A further priority for 2018/19 is to make sure digital markets work in people’s favour. Trust in online markets is essential if the digital economy is to develop towards its full potential. Nearly 90% of UK internet users bought at least one product online in 2016 – the highest in the EU, and much of our ambitious consumer enforcement programme is focused on digital commerce. As part of a major overhaul of how the £4.7 billion online gambling sector operates following our investigation, four leading firms have committed to change the way they offer bonus promotions to ensure players can always access and release their own money; landmark changes that must now be adopted across the sector. Millions of people across the UK gamble online every week; although gambling inevitably involves a risk, firms must be held to the same standards as any other UK business and must ensure they offer fair and transparent terms to their customers. Whilst on the subject of the online world, we’re continuing to use advanced digital marketing techniques to raise awareness of competition law and drive new leads to our cartels hotline. Our new campaign encourages people to be ‘Safe, not Sorry’ if they think they may have involved themselves in cartel activity and to make sure they are the first to report it to the CMA. Witnesses – those not involved themselves but who have seen something untoward – are asked to ‘Do the Right Thing’ by reporting it to the CMA. Since our previous awareness campaign in 2017 we have seen a 30% increase in tip offs, and we expect to see some positive results from this latest awareness drive. Meanwhile our free digital Screening for Cartels tool, which helps public procurers identify potential bid-rigging, something that can cost taxpayers millions of pounds, has been nominated for CIPFA public finance innovation (digital finance project of the year) award. In December, following an in-depth phase 2 investigation we cleared Tesco’s acquisition of the wholesaler Booker; a huge merger for the high street affecting millions of shoppers. We came to our final view after an in-depth examination of evidence from a large number of wholesalers, suppliers and retail chains as well as a survey of hundreds of retailers. This was an important investigation for us. Millions of people use their local supermarket or convenience store to buy their groceries or essentials, so it is vital that they have enough choice to secure the best deal for them. Having examined the evidence in depth, we were satisfied this will remain the case following the merger. We continue to investigate Sky plc’s proposed acquisition by 21st Century Fox. This investigation, following a public interest referral from the Secretary of State for Digital, Culture, Media and Sport, centres on media plurality and broadcasting standards. In January, we provisionally found that if the deal went ahead, as currently proposed, it is likely to operate against the public interest in relation to media plurality. We are in markets to secure lasting change for consumers, businesses and the UK economy, and we’re committed to seeing things through. We continue to be involved in the implementation of remedies following our banking market investigation, including the roll-out of ‘Open Banking’. In February, improvements that came into effect following our investigation included a rule that banks must have a system to alert their customers via texts or a mobile banking app to help them avoid unnecessary overdraft charges. A number of banks already have such systems in place, but the new rules require all banks to send these alerts, and to implement other measures, such as a grace period in which people can transfer money into their account to avoid being charged. Small firms will benefit from new measures, including the standardisation of Business Current Account opening procedures, so all banks will now ask for the same information from small business applicants. Supporting this, smaller businesses will also now find it easier to take out a business loan thanks to a new loan price and eligibility tool to be launched by four banks. This tool will help them understand the costs of taking out a loan and find the best deal for them. Things are moving rapidly, so to keep up to date with our work, please keep an eye on our homepage, or follow us on Twitter, LinkedIn or Facebook. So you are requiring banks to obtain more personal data (despite the GDPR) , and despite the fact that they already abuse the use of personal data by marketing and contacting people without their permission, and without having in place appropriate technical and procedural controls to prevent inappropriate use, or minimisation of data. Many thanks for your reply. We would be happy to help you but cannot respond in detail to your enquiry on this platform. We therefore recommend that you contact us directly at general.enquiries@cma.gov.uk with more detail so that we can respond more fully.